Understanding Driven by Common Interest. 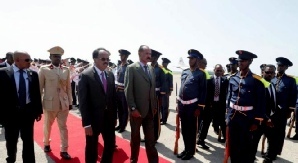 Core and Decisive Eritrean Unity is a timely request. Our social media activists have to cooperate and coordinate their efforts. ናይ ሰንበት 30 D ecember 2018 ጋሻና ኣቶ የዕብዮ ሃብተጽዮን ብርሃነ ኢዩ። 'ሕጂ፡ ቀንድን ወሳንን ጥርናፈ የድሊየና ኣሎ። ማሕበራዊ ሚዲያታትና ሓቢሩ ክሰርሕ ኣለዎ።' ብዝብል ኣርእስቲ ሰሚናር ከካይደልና ስለዝኾነ፡ ክትሳተፉ ብኽብሪ ትዕደሙ። Our Guest Sunday, 30 December 2018, is Mr Yeibio Habtezion Berhane. 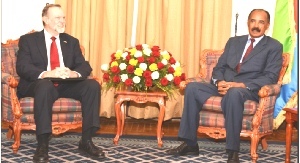 He will deliver seminar on 'Core and Decisive Eritrean Unity is a timely request. Our social media activists have to cooperate and coordinate their efforts.' You are all cordially invited to participate. 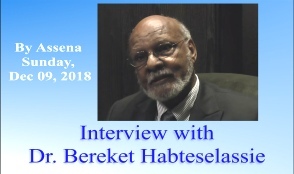 ኣብ ፓልቶክ "ድላለት ህሌና 2018"
"Legality of the agreements signed by illegal system of Isaias; how would it be seen after his demise? In the Amhara owned social media there is an awful hate campaign ag ainst the TPLF and the People of Tigray such as: ኣስደሳች ዜና፡ ወያነ ዳግም ሞተች : Pleasant news TPLF died for the second time. It is simply a death wish. It is sawing the seeds of violence gripping Ethiopia every day. The hate-campaign has impacted these tragic violence in Ethiopia. The following Christmas message (see below) is from Mother Camel. Please read it with great interest and sincerity for its full understanding. 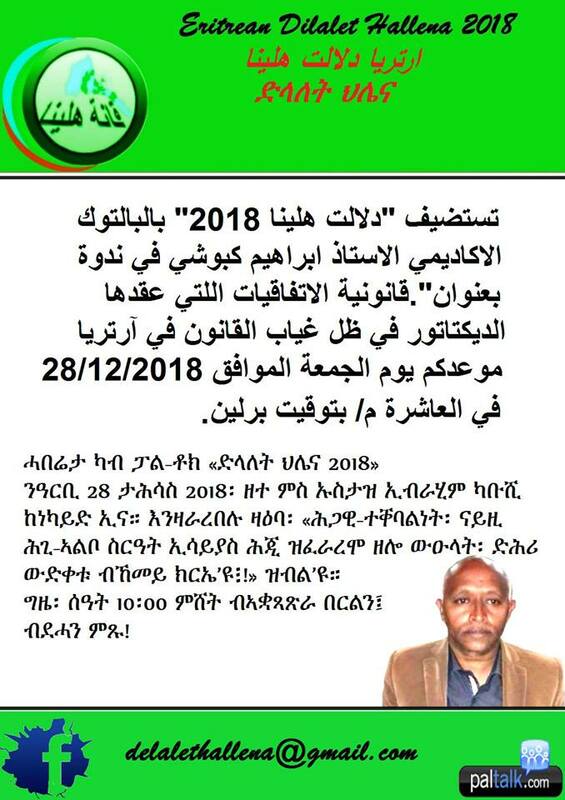 ናይ ሰንበት 23 December 2018 ጋሻና መንእሰይ ዮርዳኖስ ዘርኣብሩኽ ኢያ። 'ኤርትራዊት ጓልኣንስተይቲ፡ ከም ትማሊ፡ ሎሚ'ውን ሞቶረ ንፍትሒ።' ብዝብል ኣርእስቲ ሰሚናር ከተካይደልና ስለዝኾነት፡ ክትሳተፉ ብኽብሪ ትዕደሙ። Our Guest Sunday, 23 December 2018, is young Yordanos Zeraburk. She will deliver seminar on 'Eritrean Women: as in yesterday, a Motor for Justice.' You are all cordially invited to participate. ናይ ቀዳም 22 D ecember 2018 ጋሻና መንእሰይ መንእሰይ ያዕቆብ ቃለኣብ ኢዩ። 'ኢሳይያስ ሓይሉ ዘይኮነስ፡ ኣብ ድኻምና ኢዩ ዝነብር ዘሎ። ቅዋም ድማ፡ ዋናኡ ህዝቢ ኤርትራ'ምበር ኢሳይያስ ኣይኮነን።' ብዝብል ኣርእስቲ ሰሚናር ከካይደልና ስለዝኾነ፡ ክትሳተፉ ብኽብሪ ትዕደሙ። Our Guest Saturday, 22 December 2018, is young Yacob Kaleab. 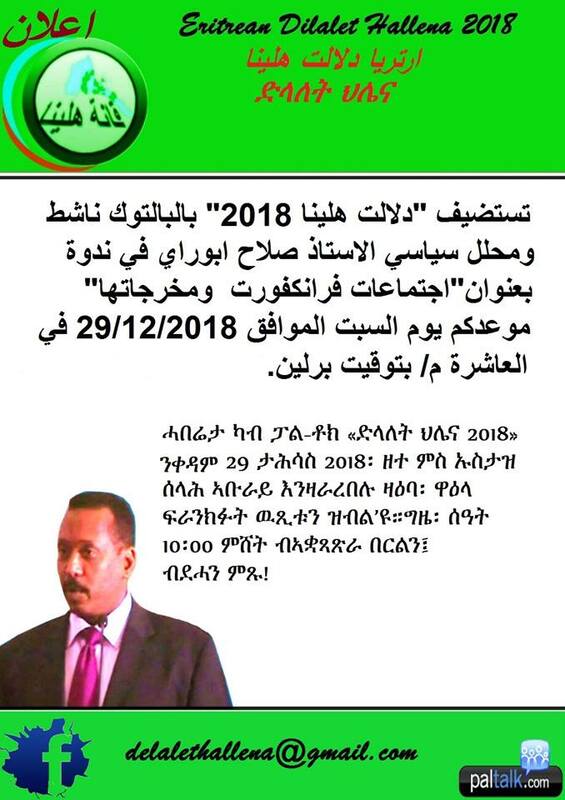 He will deliver seminar on 'Isaias lives on our weaknesses; Constitution is a property of Eritrean people--NOT Isaias's ' You are all cordially invited to participate. Time has come where the dividing line is no more there. It is time to work in unity towards normality. 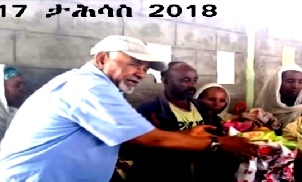 ናይ ሰንበት 16 D ecember 2018 ጋሻና መንእሰይ ዳኒኤል ጎይቶኦም (ችና) ኢዩ። 'ደጊም ክፈላልየና ዝጸንሐ ሓጹር ተቐንጢጡ ኢዩ። ኣብ ሃገርና ንቡር ንምምላስ፡ ሰሚርና እንሰርሓሉ እዋን ሕጂ ኢዩ።' ብዝብል ኣርእስቲ ሰሚናር ከካይደልና ስለዝኾነ፡ ክትሳተፉ ብኽብሪ ትዕደሙ። Our Guest Sunday, 16 December 2018, is young Daniel Goituom (China). He will deliver seminar on 'Time has come where the dividing line is no more there. It is time to work in unity towards normality.' You are all cordially invited to participate. its importance in fighting the Dictatorship. ናይ ቀዳም 15 D ecember 2018 ጋሻና ጋዜጠኛን ጻሓፊትን ኤደን ኢያሱ ኢያ። 'ኤርትራዊ ሃገራውነትን ኣድላይነቱን፡ ኣብ ቃልሲ ኣንጻር ውልቀ ምልኪ' ብዝብል ኣርእስቲ ሰሚናር ከተካይደልና ስለዝኾነት፡ ክትሳተፉ ብኽብሪ ትዕደሙ። Our Guest Saturday, 15 December 2018, is Journails writer, Eden Eyasu. She will deliver seminar on 'Eritrean Nationalism: its importance in fighting the Dictatorship.' You are all cordially invited to participate. ኣብ ናይ ሎሚ መ ደብና፡ ኣብ ህሉው ፖለቲካዊ ኩነታት ኤርትራ ኮይኑ፡ ሓው ጀማል ሑመድ ካብ ኣውስትራልያ፡ ምስ ሓጅ ዓብደልኑር ዝተኻየደ ቃለመጠይቕ ኢዩ። ብጽሞና ክትከታተሉዎ ንዕድም። Mr. Jemal Humed interviews Haaj Abdulnoor, from Australia. All are cordially invited to listen. ቅዋም መዓስ ክትግበር’ዩ? ኣብ ግዜኡን ሰዓቱን! እሱራት መዓስ ክፍትሑ’ዮም? ኣብ ግዜኡን ሰዓቱን! ሃገራዊ ምርጫ መዓስ ክካየድ’ዩ? ኣብ ግዜኡን ሰዓቱን! ናጻ ፕረስ መዓስ ክፍቀድ’ዩ? ኣብ ግዜኡን ሰዓቱን! ግዱድ ዕስክርና መዓስ ከብቅዕ’ዩ? ኣብ ግዜኡን ሰዓቱን! “መረብ-ምላሽ” ሕጂ ካብ ኤርትራ ወጺኡ፡ ኣብ ውሑስ ቦታ ዝርከብ መንእሰይ ኢዩ። ዕለት 08 December 2018 ኣብ ፓልቶክ ሩም ሕድሪ ጀጋኑና ተረኺቡ፡ ምስ ተሳተፍቲ ፓልቶክ ስፍሕ ዝበለ ዕላል ናይ እንካን ሃባን ኣካይዱ። ንህሉው ኩነታት ናይ ውሽጢ ሃገርና ዝምልከት ተመኩሮኡን ትዕዝብትታቱን፡ ድሕሪቲ ሓድሽ ምዕባለታት ኢትዮ-ኤርትራ ሰላም ተፈጢሩ ዘሎ ኩነታት ከምኡውን፡ ትጽቢታት ኣብ ውሽጢ ዝርከብ ህዝቢ ኤርትራን ምስቲ ኣብ ደገ ዘሎ ክውንነት ደምበ ደለይቲ-ፍትሒን ብምዝማድ ሰፊሕ ገምጋሙን ርእይቶኡን ሂቡ ኣሎ። ኣብ ሕማቕ ቦታ ኾይኑ ይራኸብ ስለዝነበረ፡ ናይ ድምጺ ሽግራት ኣለዎ፡ ግን ንምርዳኡ ዘጸግም ኣይኮነን። ሰናይ ምክትታል! 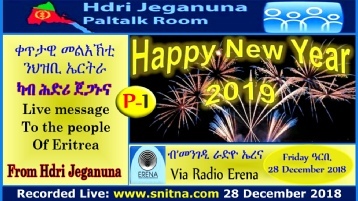 ናይ ሰንበት 09 -Dec-2018 ጋሻና፡ ገዲም ሓርበኛ ከማል ኢብራሂም፡ ካብ ሳን ሆሰ ኣመሪካ ኢዩ ክኸውን። ከማል፡ ተመኩሮኡ ኣብ ተሓኤ ከምኡውን ኣብ ህሉው ኩነታት ዘለዎ ገምጋምን ርእይቶን ንተኻታተልቲ ከካፍል ኢዩ። ከማል ዓሚቕ ተመኩሮን ትዕዝብቲን ዘለዎ ሓርበኛ ኢዩ። ክትሳተፉ ብክብሪ ትዕደሙ። On Sunday, 09-Dec-2018, from 2-5 PM Halifax Time, an ELF veteran, Mr kamal Ibrahim, from San Jose USA, is speaking with voice of Eritrea. He will share his experiences of the liberation struggle as well share his views on current Eritrean situation. All are cordially invited to join. 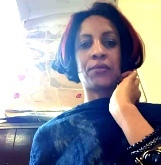 Sectarianism and the question of representation in the Eritrean Politics. ኣጋይሽና፡ ኣቶ ኪዳነ ሓጎስን፡ ኣቶ ክብርኣብ ተስፉን ኢዮም። መዛተዪ ኣርእስትና፡ (1) ዘቤታዊ ታሪኽና ብተሰራረዝቲ ሓይልታት ዝጨቀወ እዩ። ሓድሽ ታሪኽ ከመይ ንጅምር? 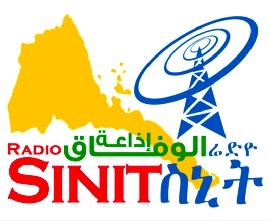 (2) ሲቪካዊ ሃገርነት መተካእታ ዘየብሉ መድሕን ህዝብን ሃገርን'ዩ። (3) ንግዝኣት ኢሳይያስ ናይ መጨረስታ ዘይሕጋውን ዘይፍትሓውን ምሕደራ ንክኸውን እንታይ ንግበር። Our panellist are: Mr Kidane Hagos and Mr Kibreab Tesfu. Our topic is: (1) Our history is littered with liquidationist forces; how do we start a new chapter? (2) Civic Nationalism is the only way. 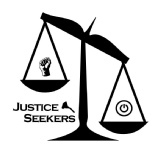 (3) How do we make the Isaiias regime the last illegal and unjust rule? 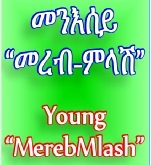 ክትሳተፉ ብኽብሪ ትዕደሙ። All are cordially invited to participate. 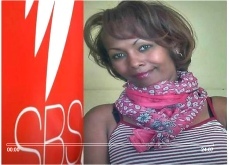 ጋሻና ገዲም ተጋዳላይ ኣብራ ሃም ኢያሱ፡ ምዕባለታትን ንጥፈታትን ሽማግለ ሓይሊ ዕማም ጀነቫ ከብርሃልና ተዳልዩ ኣሎ። ኣብ ዝሓለፈ ሰሙን፡ ኣብ ሩም ሕድሪ ጀጋኑና፡ ብዛዕባዚ ጉዳይ'ዚ ብኻልኦት ኣባላት ሽማግለ ከም ኣርእስቲ ተላዒሉ ሰሚናር ተኻይዱሉ ምንባሩ ዝዝከር ኢዩ። ሎሚ ዝያዳ መብርሂ ክቐርብ ትጽቢት ይግበር። ክትሳተፉ ብኽብሪ ትዕደሙ። Our Guest today, is Veteran. Abraham Eyasu. He is member of the Geneva Task Force Committee. He is going to give seminar on the activities and current developments of the Task-force. Last week, a similar seminar was given by other member of the same committee. You are cordially invited to participate. ንምህሳስ ታሪኽ ቃልሲ ህዝቢ ኤርትራ? JUSTICE CAMP: FOR DEMOCRACY OR TO UNDERMINE THE HISTORY OF ERITREAN PEOPLES' STRUGGLE? ኣብዚ ላዕለዋይ ኣርእስቲ ምርኩስ ገይሩ ሰሚናር ዝህበና ዕዱም ጋሻና፡ መንእሰይ ግርማይ ጉርጃ ኣስፋሃ (ወዲ ጉርጃ) ኢዩ። ክትሳተፉ ብኽብሪ ትዕደሙ። Our invited guest, delivering seminar on the topic above is: young Grmay Gurja Asfaha (wedi Gurja). You are all cordially invited to participate. This is to in vite all justice seekers to attend a crucial public meeting that is to be held on SUNDAY DECEMBER 9TH, 2018. Discussing the current political development and sellout of the Nation of Eritrea. Every concerned individual and activist is cordially invited. 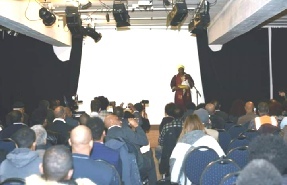 Public Meeting of Eritreans in Washington DC, Maryland and Virginia and its surrounding. سي العمل. نطلب من جميع الإريتريين في واشنطن العاصمة وماريلاند وفيرجينيا والمناطق المحيطة بها حضور ودعوة أسرهم وأصدقائهم إلى الاجتماع. We request all Eritreans in Washington DC, Maryland and Virginia and its surrounding to attend and to invite their families and friends to the meeting. ገድሊ ኤርትራ: ምእንቲ ናጽነትን ሓርነትን ህዝቢ ኤርትራ'ዶ ወይስ ንሽፍትነት? The Struggle of Eritrea: For Independence and Liberation OR for Banditry? ናይ ሰንበት ዕለት 02/12/2018 ጋሻና፡ መንእሰይ ኣማኑኤል የማነ ኮይኑ፡ "ገድሊ ኤርትራ ምእንቲ ናጽነትን ሓርነትን ህዝቢ ኤርትራ'ዶ ወይስ ንሽፍትነት?" 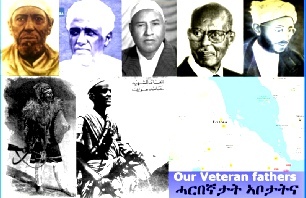 ብዝብል ኣርእስቲ ሰሚናር ክህበና ኢዩ። ክትሳተፉ ብክብሪ ትዕደሙ። On Sunday 02/12/2018, our guest is Youth Amanuel Yemane. 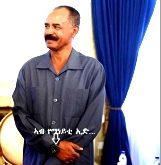 He will give a Seminar Topic "The Struggle of Eritrea: For Independence and Liberation OR for Banditry?" All are cordially invited to join. ፈላሚ ፈነወ ራድዮ ስኒት ኤርትራ! 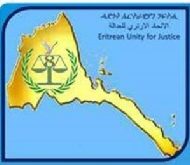 The solution to Eritrean problem comes when we establish an Eritrean organisation. ናይ ቀዳም ዕለት 1/12/2018 ጋሻና፡ በረኽት ገዛኢ ገብሩ ኮይኑ፡ 'ፍታሕ ናይ ኤርትራዊ ሽግር ንኤርትራ ዝመስል ኣወዳድባ ምስ እንገብር ኢዩ' ብዝብል ኣርእስቲ ሰሚናር ክህበና ኢዩ። On Saturday 1/12/2018, our guest is Mr Bereket Gebru. 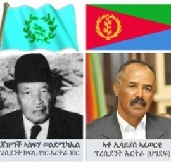 He will give a Seminar Topic "The solution to Eritrean problem comes when we establish an Eritrean organisation."